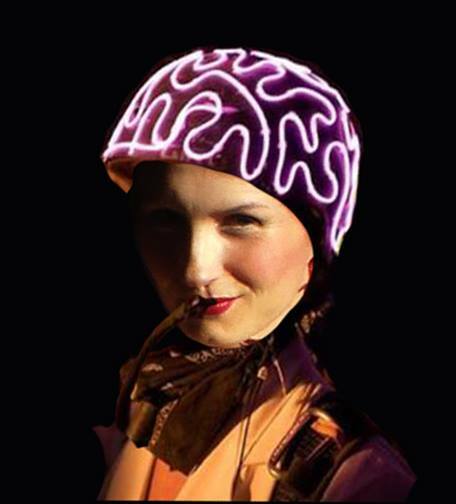 Here’s Diana with her fake brain lit up. Damn. This is crazy. Now I see myself doing the moonwalk when I remember walking to my car. But this never happened. But it feels like it did! What the hell?! How the f*ck did you do that?! I had just implanted a false memory in her mind. I did it to teach her a powerful lesson; a lesson that would change her life. A false memory is a memory that never happened, but it influences you as if it did happen. Every time you recall a memory it changes. The WAY you recall a memory dictates how much the memory changes, and whether the recall causes a full memory implantation or not. 1) Change how you feel about any past or future memory. (e.g. Now you can feel good about having dated that really unattractive guy. Actually no. Don’t do that. That’s a bad idea). 2) Delete any memory from your mind. (e.g. Now you can forget about your ex wife. Actually this probably won’t work). 3) Create a whole new memory that never happened, but it seems like it did. (e.g. Now you can trick your friends into falsely remembering you beat them at basketball). These memory changing superpowers are made possible because of memory reconsolidation; a fancy term neuroscientists use to describe how we effectively change our memories. Changing a memory boils down to three easy steps. 1) Remembering the memory you want to change. 2) Interrupting the recall of the memory by thinking about something else before too much of the emotion associated with the memory is elicited. 3) Updating the memory by adding and rehearsing new information. You do this by continuing to think about something other than the original memory from step 1, and as you think of this other thing you picture it and hear the sounds associated with it over and over again. The more real you can make these sounds and pictures, the better. You are about to see me using the above three steps to implant false memories in three different ways. This video shows me doing a partial memory implantation meant to rewrite a memory and delete any of the feeling associated with it. How is this useful? You can use this to change how you feel about any past event or imagined future event. Now you know how to get over your sadness over losing your dog named Killer when you were 6 years old. This video shows me deleting a memory (i.e. amnesia) which is a more complete form of memory implantation. How is this useful? You can use this to delete any memory from your mind. Now you can forget about the mullet you had when you were 10 years old. CAUTION: Make sure to use memory deleting with care. If you decide to use memory deletion, only use it with a very non-important and non-emotional memory. This video shows me doing a full memory implantation. How is this useful? You can use this to manufacture confidence at will. 1) Imagine yourself in the particular future scenario you want to have confidence in and practicing seeing and hearing yourself doing everything right and having everything go perfectly well in that scenario. 2) Keep imagining this again and again until it becomes a future memory. You will know it is a full blown future memory when you imagine this future scenario and the first thought that comes to mind is what you have rehearsed in step 1.